For the thirtieth anniversary of the famous mid engine BMW M1, BMW Group design presented a homage to this legendary model as part of the Concorso d'Eleganza Villa d'Este 2008. The BMW M1 designed by Giorgio Giugiaro was a car of superlatives and a highly emotive vehicle that was uncompromisingly primed for the race track. You will find the history of the BMW M1 1978 with a full set of pictures and wallpapers you can download on a separate article of Car Reviews. Spawning this development was the BMW Turbo by Paul Bracq, a revolutionary concept car which, in addition to its groundbreaking functional design, also boasted a raft of technical innovations. it is from these two unique vehicles that the BMW M1 Homage Concept takes its cue - a design study that pays tribute to its forerunner models and an embodiment of the competence, creativity and potential of BMW Group Design team. "For BMW, heritage is always also a living heritage. Drawing inspiration from your own past and thereby reinventing yourself - that is exactly what the BMW M1 Homage Concept demonstrates in impressive style." said Dr. Klaus Draeger, BMW Group Board Member, Development. "For a company as for a product, it is important to be aware of one's roots. In the spirit of Giugiaro and Bracq, the BMW M1 Homage Concept unites the BMW values of design and technology in a highly emotional and exciting interpretation." declared Christopher E. Bangle, Director Design BMW group. 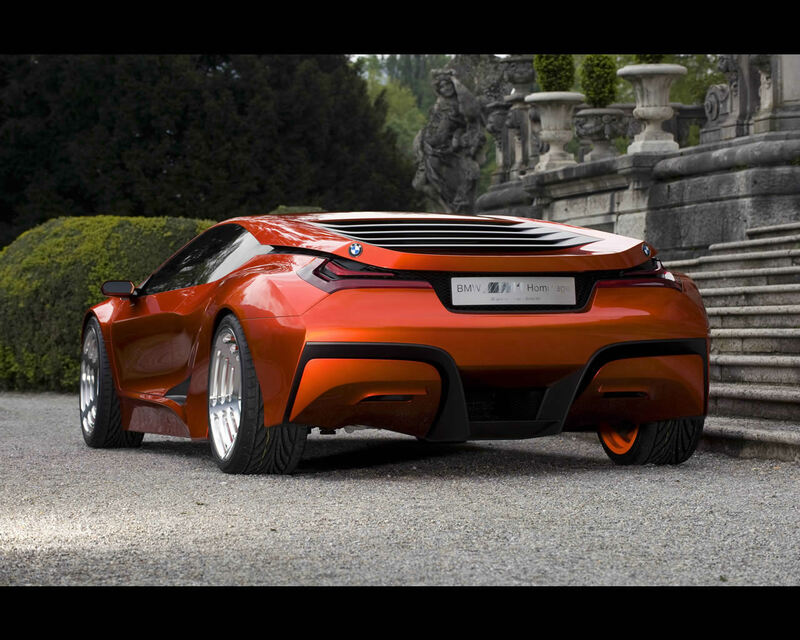 The BMW M1 Homage Concept opts for BMW's characteristic proportions. A relatively long engine compartment, a clearly defined transition into the A-pillar and a stretched window line featuring the "Hofmeister" kink instantly give it away as a bona fide BMW. The horizontal flow of lines lowers the car's visual centre of gravity and lends it an air of sovereignty. The front-end styling of the BMW M1 Homage Concept adopts many of the graphic design themes of the BMW M1: the contrast between the black, recessed surfaces and the car colour, the small, squat kidney grille and the "invisible" headlamps. 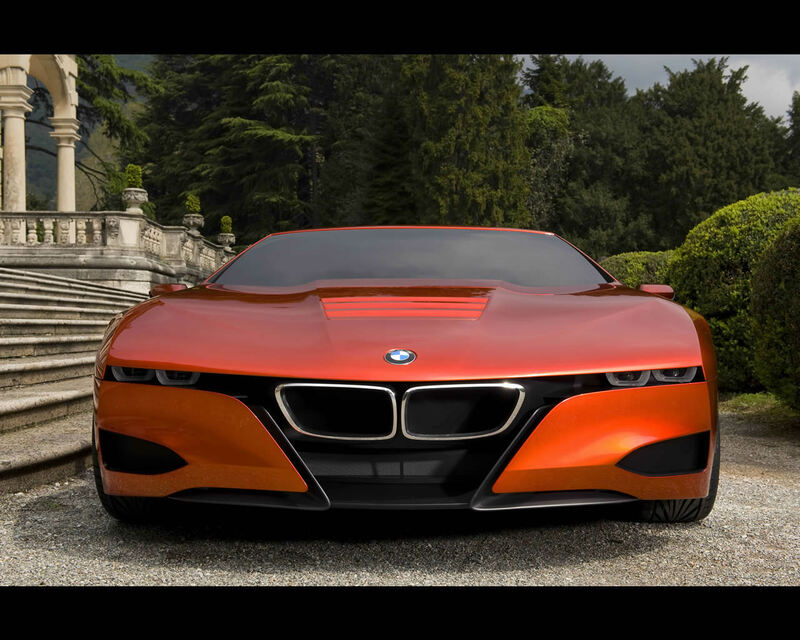 And yet the front of the BMW M1 Homage Concept is an absolute novelty for BMW. Each element assumes a function: the hallmark twin kidney, for example, is not only a distinguishing feature of the BMW brand but combines aerodynamic, cooling air routing and safety solutions. 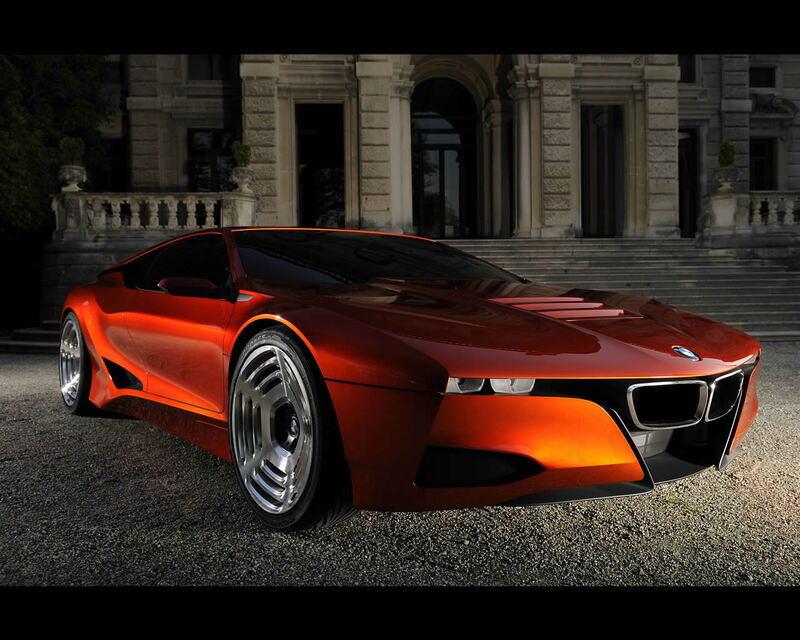 The design of the headlamps, meanwhile, is a new iteration of the retractable headlights of the BMW M1. 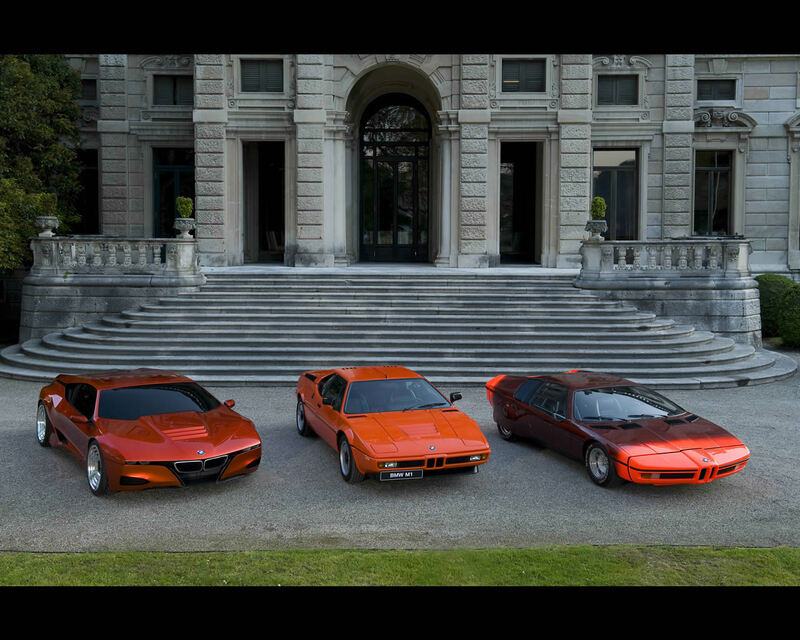 Like the lamps on the historic model, those on the BMW M1 Homage Concept are only visible when switched on. When not in use they are discreetly integrated into the front end design and "disappear" into the recessed black cutline, almost like pop-up headlights. Along the side of the car all the lines, surfaces and details lead the eye from the front end along the stretched engine compartment and clearly defined A-pillars before converging at the centre of the vehicle. Two expressive lines are drawn from the front along the flanks of the vehicle towards the engine compartment area. The flow of lines begins in a straight, disciplined fashion at the front end, lowering the optical centre of gravity of the BMW M1 Homage Concept and highlighting its low slung stance. From the middle of the car, however, the lines break up. the power of the design is focused precisely where the power of the vehicle also lies - at the engine. 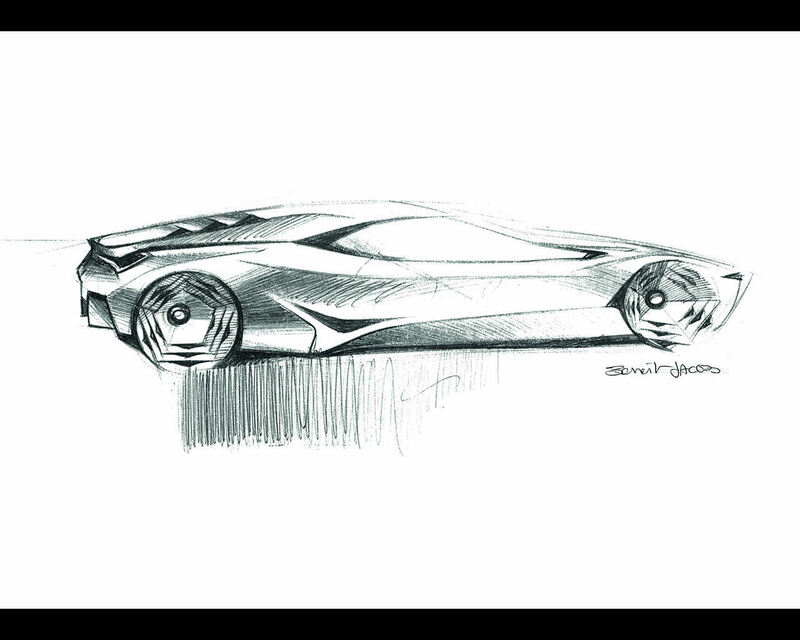 Strong, sensuous sweeping lines accentuate the car's mid-engine concept. 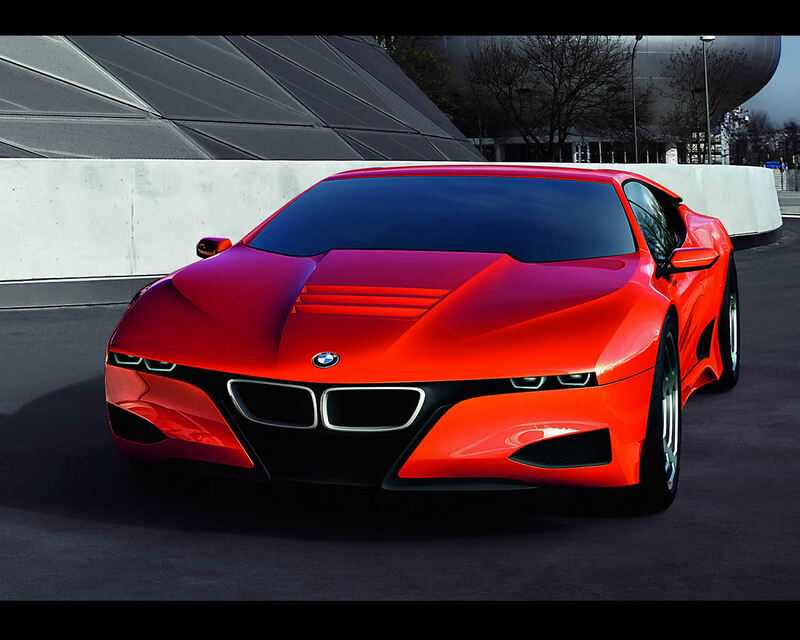 the roofline of the BMW M1 Homage Concept is flatly tapered, extending into and around the rear. In so doing it draws a continuous line and forms a link between the two sides of the car. It is on this line, above the tail lights, that the hallmark twin BMW logo can also be found.